Postal worker, real estate broker and civil rights activist, Mary Ann Spencer was the 10th child of twelve. She was born in Patrick County, Virginia on January 7, 1917. Spencer completed high school at Christiansburg’s Industrial High School in 1937, Virginia and went on to study at Howard University in Washington, D.C. She dropped out of Howard for financial reasons and continued her education in night school before meeting and marrying Thomas H. Smith in 1944. After relocating to San Francisco and living there for a few years, she and Thomas made the decision to build a home in San Jose, California in 1947. They were shown only two places in the area where African Americans could build; a lot outside of town and a lot with a very large hole in an otherwise all white neighborhood. Mary Ann and Thomas Spencer chose the latter, filled the hole and built their home. Mary Spencer also found it difficult to get a job in either the public or private sector in post World War II San Jose. Despite having passed the Santa Clara County (San Jose) written placement test, she was still told that she was not qualified for any work with any county or city agency. Smith found work at the San Jose Post Office in 1952, becoming one of the first African Americans to work there. In 1958, Mary Spencer Smith became the first African American woman in San Jose to receive a real estate license. She worked for a white broker for six years before opening her own office. She became the first female African American real estate broker in San Jose and changed the housing landscape in that city. Learning from her own personal experience in the housing market, she found ways to get listings to her clients – often using lists of foreclosures. And she found the much needed financing to help put African Americans into housing all around the city. In the process Mary Spencer opened the housing market to significant numbers of African American home buyers for the first time. 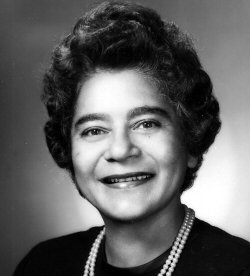 Smith was active in the San Jose National Association for the Advancement of Colored People (NAACP), the League of Women Voters and the Garden City Women’s Club. In 1982 she reorganized the Afro-American Community Service Agency. Mary Ann Spencer Smith died in San Jose on January 7, 2001.